Oh, Rob Zombie is actually making that movie? Okay then. 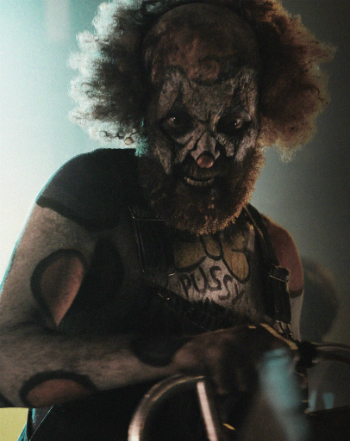 Full disclosure: when Rob Zombie is on his game, I really like what he does. Remaking The Empire Strikes Back as a grindhouse redneck rampage called The Devil’s Rejects was a ballsy move that I think paid off, while his Halloween II is an effective, radical sequel if you read it as a delusion the central character is having. What I take away from this is that Zombie should only ever make sequels, skipping the first movie altogether. So maybe I’ll just give 31 a miss, and wait for 32, in which, having exhausted his silly ideas of stuff he thinks is scary and subversive, he’s forced to add a story.